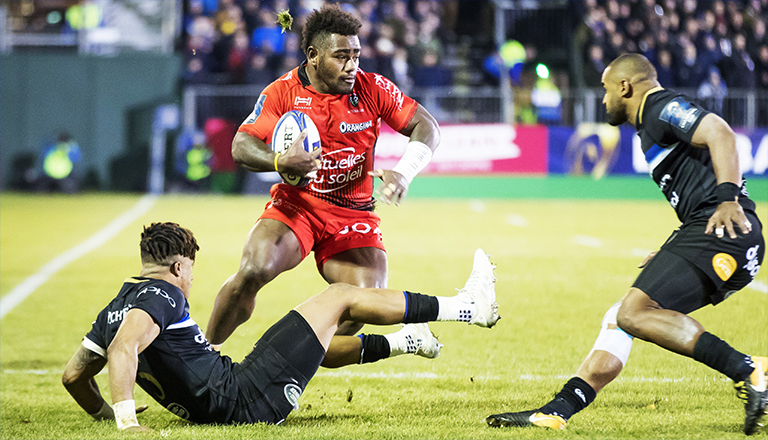 Fijian powerhouse Josua Tuisova looks set to leave Toulon for Top 14 rivals Lyon at the end of the season in a massive transfer deal. Lyon have been linked with a move for the powerful winger as far back as June of last year, with Toulon owner Mourad Boudjellal stating at the time that he would only let him leave if a “seven-digit offer” came in. Now almost a year later it looks like a deal has been struck, with Tuisova still having a season to run on his contract with the three-time European champions. RMC Sport are reporting that Tuisova has agreed a four-year deal with Lyon with the French side set to buy him out of his final year. The fee is likely in the high six figures.